We are a unique progressive educational movement for children and young people - both girls and boys - designed to develop self-confidence and activity in society, with the aim of building a world based on equality, peace, social justice and co-operation. There are four Woodcraft groups in Southampton (see below). 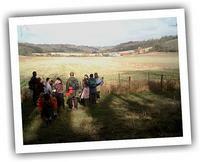 The groups do a wide range of activities, planned by the parents/carers and children. 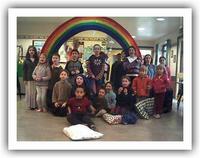 Activites include games, art & craft, first aid, hiking, nature study, music, story telling and astronomy. As well as weekly meetings, at least three camps are held each year. Involvement by parents and carers is encouraged and all helpers and leaders are DBS checked for the children's safety. Venturers 13-16 TBC Coming soon! The age boundaries are not strict, children move up when it suits them best. If you have children under 6 years old they are welcome to come along as well as long as you stay to supervise them. The national Woodcraft site has more general information, but for further information about the Southampton groups, please contact Maria Moran on 023 8023 3207 or find us on Facebook.